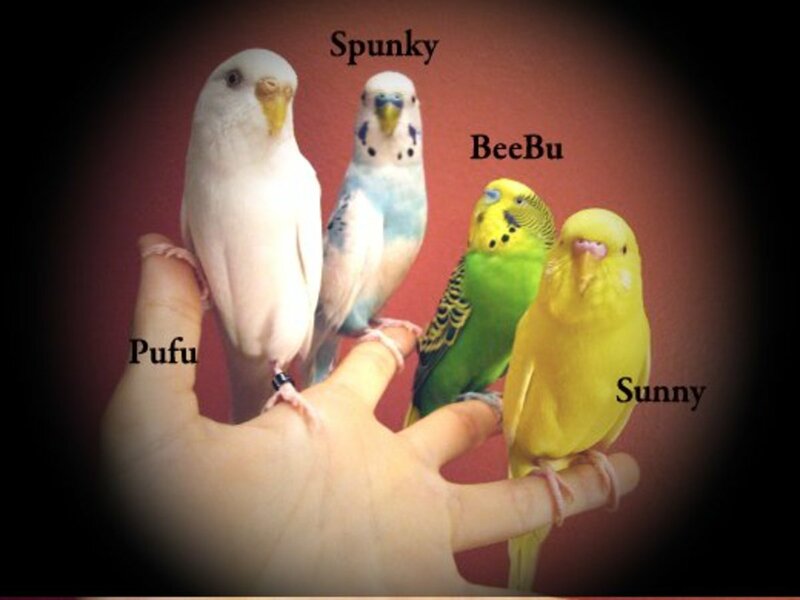 "Name the Baby Bird" was a contest held in the pet store where my daughter, Selena, worked. 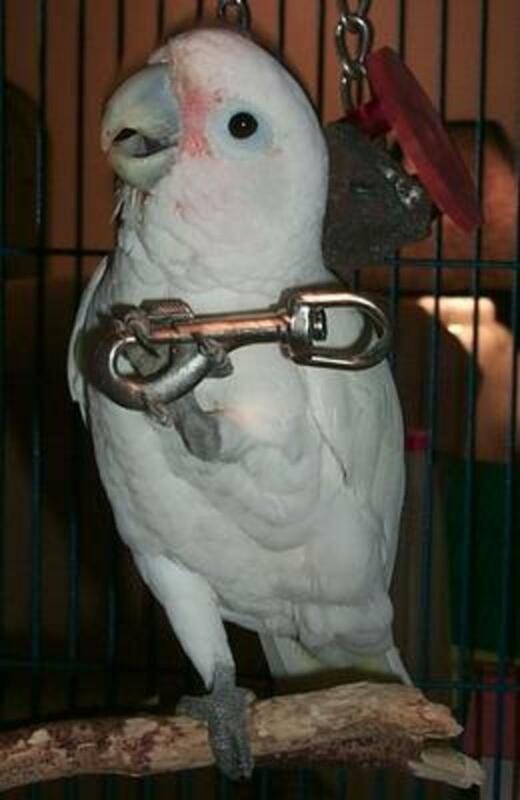 The bird in question was placed under her care and within a few short weeks had captured her heart. "If you don't let me keep him, he'll be sold," Selena told us repeatedly. The contest was now over, and the bird had been named from the winning entry. Selena explained that the baby parrot had grown quite fond of her, tucking his little head up under her chin and cuddling with her. "I've held him and fed him and we just can't be separated now," Selena reasoned. "We've formed a bond that shouldn't be broken." Now, we'd spent years with the typical line-up of pets that our children had convinced us they just had to have and couldn't live without, but by the time they'd reached their late teens, we had had enough. We held a family meeting and decided on no more pets, reminding our offspring that they were rarely at home and that this was unfair not only to us, the adults, but to any pet. They reluctantly agreed with our logic but we knew that deep down they still thought that Mom and Dad should be willing to shoulder the responsibility of looking after any animal they took a shine to. Selena worked her way around our resolve in a more subtle fashion and unknowingly, we took the bait... One day, when my husband and I were in the mall, we stopped in at the pet store to say hi to Selena. 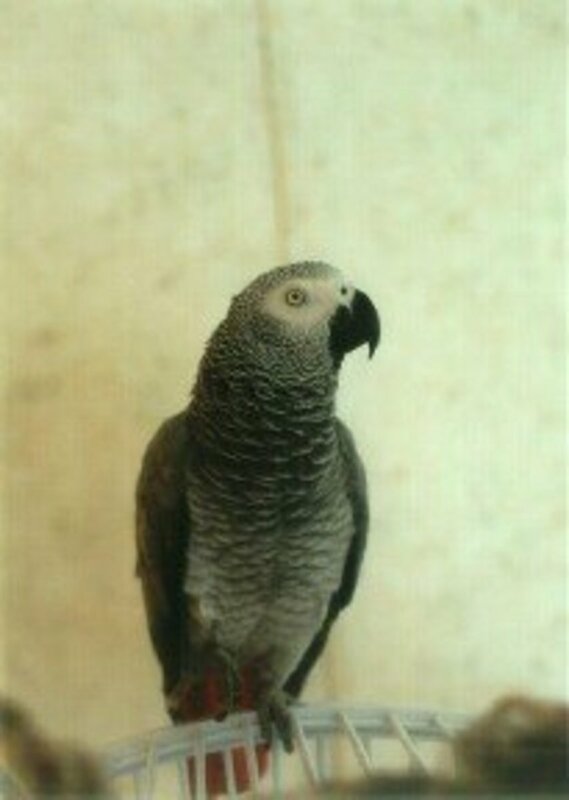 She asked if we were curios to see the parrot she kept telling us about. We agreed unsuspectingly, and, of course, just as Selena secretly hoped, we were immediately captivated. 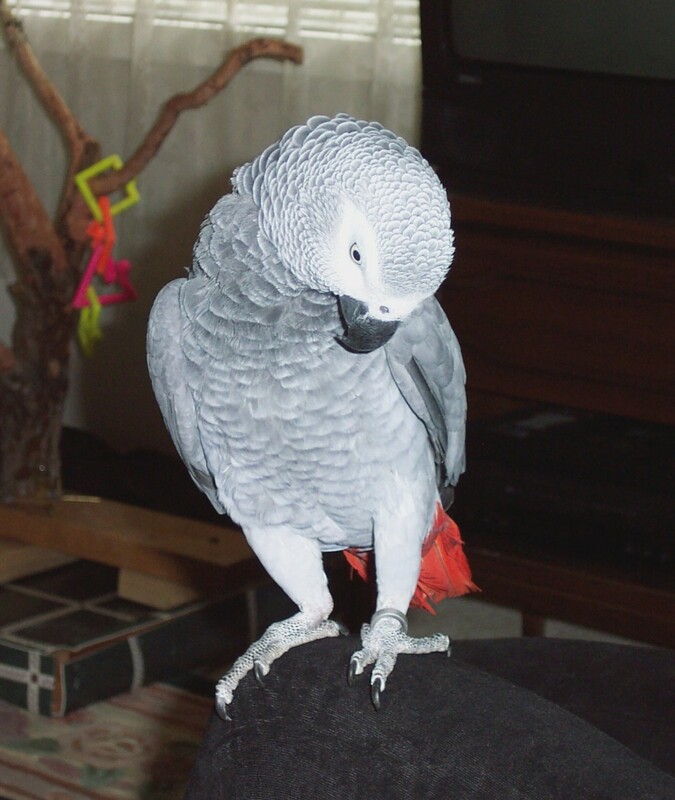 And so it was that a darling African Grey parrot named Bailey entered our lives. Bailey already knew how to say hello. He'd picked this up from the other birds who happily chirped out their hellos all day long and he also would have heard the customers who came into the store and greeted the birds, but, other than that, whistles and squeaks characterized his repertoire of sounds--that is, until Selena left to spend a long weekend with a friend. I was sitting at the piano, with my back to Bailey, and I paused to turn a page of music. Suddenly, I heard a soft voice ask, "Where's Selena?" I nearly fell off the piano bench! I thought I must have been mistaken but more surprises were in store. Bailey made it apparent he preferred the females in his life. Overtures of friendship from my husband and son were greeted with obvious suspicion and fear. This was nothing personal, though, as they were soon to learn. 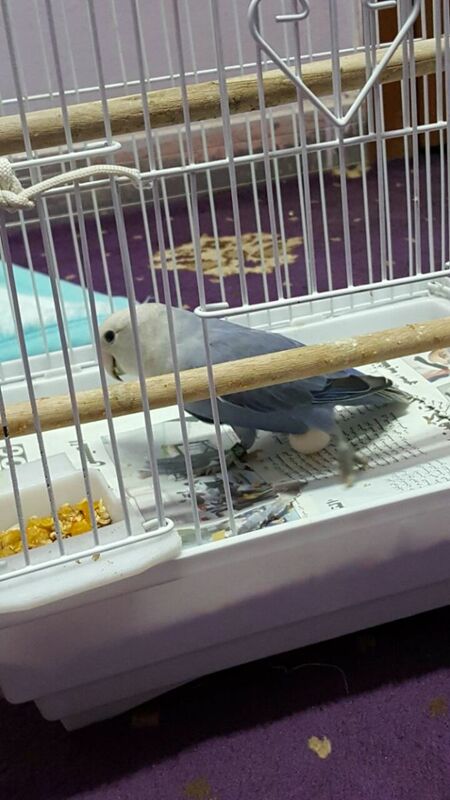 A teen-age boy was visiting and happened to get too close to Bailey's cage. Bailey told him, in no uncertain terms, to just, "Keep walking." Encouraged by Bailey's obvious attempts at communication, we talked to him constantly. We could hear him trying to form words, as he listened and learned the sounds he heard around him. He would practice until he got a word right. And he quickly learned to associate certain words with different foods or different activities and started talking to us about these. In no time at all, Bailey had mastered more words and even sentences. What amazed us, though, was the cognition he showed when he asked questions or formed sentences that were uniquely his "own." He would come out with something we hadn't taught him or string words together in a completely new way. For example, we wallpapered the living room. Before we began, I moved Bailey out of the way into a bedroom, so that he wouldn't be unduly stressed. 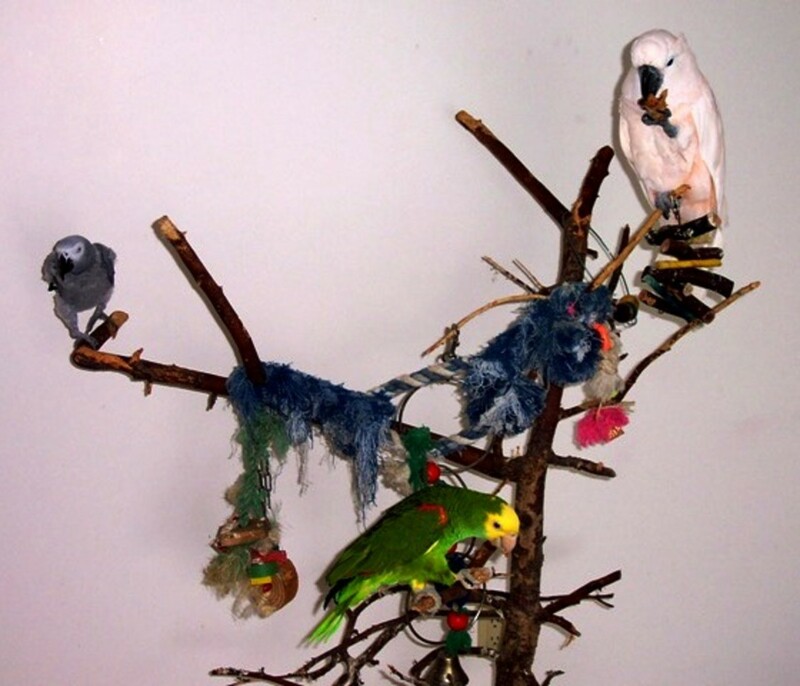 Once we finished, I brought Bailey back out and placed him on his parrot stand in the newly-papered room. Bailey noticed right away that the room had changed. He looked around, wide-eyed, then over in my direction, and asked, "Whaaat's that?" Now, how, I wondered, do you explain to a bird that you've just wallpapered your front room? I knew I had to keep things simple, so decided to simply tell him. "That's wallpaper," I answered. Bailey cocked his head and responded, "That's-a-pretty!" This was a new sentence he formed on the spot, and he has never repeated it. Another time, I was making a cup of tea. Bailey watched while I ran the water and set the kettle on top of the stove. He seemed very curious about this activity and, when the kettle began to whistle, Bailey asked, "Whaaat's that?" I told him, "Cup of tea." I wasn't sure if he'd made the connection. He seemed to think about this and it was obvious he'd connected the dots when he asked, "Want-a-drink-a-water?" "That's right, Bailey," I said. "Drink of water; cup of tea." Now, when the kettle boils, Bailey will copy the whistling sound and when I take the kettle off the stove and pour the hot water into a cup, he enthusiastically says: "Want-a drink? Have-a-cup-a-teee!" Then he makes loud slurping and gulping noises. 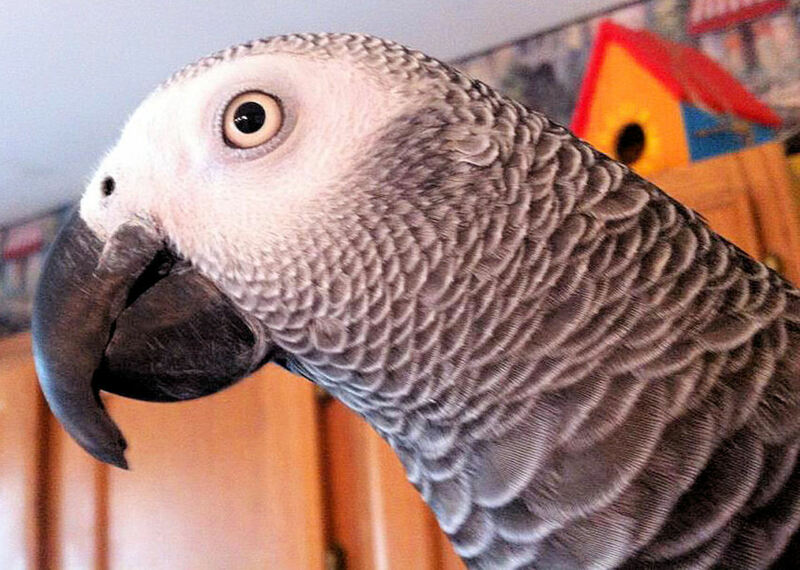 African Grey parrots aren't "cuddly" per se but they do enjoy side-by-side activities, so while Bailey tolerated a short pet or neck scratch, he usually preferred to talk to us and to come and sit close to us to meet his needs for togetherness. If we had a plate of dinner, he wasted no time flying over and burying his face in our mashed potatoes. And then came the day when Bailey met my sister, Dee. The "thunderbolt" I'd read about struck. Bailey fell head over heels for her. If Selena was "mommy" then Dee was clearly his "mate." Now, Dee and I looked much alike and Bailey was fascinated by the appearance of yet another perceived "flock member." His adoring eyes never left Dee's face as he gazed up at her with a love-struck expression. He reached over and grabbed one of her fingers, then deposited a gift of regurgitated food on it. Soon, taking his cue from us, he was calling her by name. He would sing out, "Hi, Dee!" when she came through the door and "Bye-bye, Dee" whenever she prepared to leave. And more surprising still, it didn't take long before Bailey was telling Dee how he felt about her. One day he looked up at her and said tenderly, "I love you, Dee." These days, our mornings are punctuated by a sweet voice calling, "Peek-a-boo, I see yooou! Want to come out? Want to come out?" Bailey keeps this up until he's gotten our attention. When evening falls and Bailey gets tired and wants to go to his cage for the night, he'll utter, in soft, drawling tones: "Sleeepy . . . buuurd. Want to go night-night. Yup, time to go bye-bye." If someone had told us, a few years ago, we would share our lives with a bird we could converse with, we would have thought this improbable if not downright impossible. 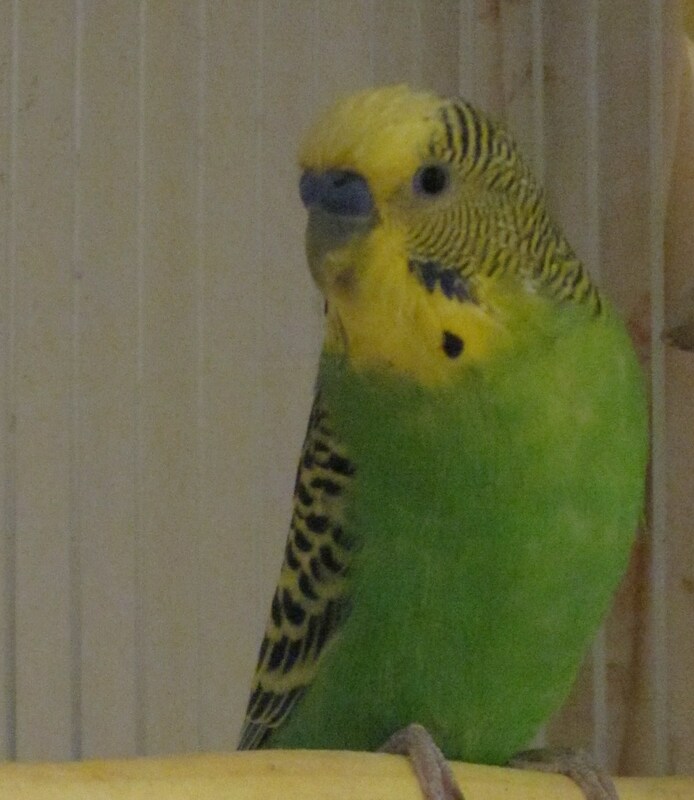 But, of course, that was before a boisterous bird named Bailey came unexpectedly into our lives . . . and just as unexpectedly stole our hearts. This is one of my all-time favorite parrot movies. We first saw the documentary when it aired on television and were so entertained, we hoped it would be made into a movie. Some years later, we found it had been and we wasted no time ordering it. 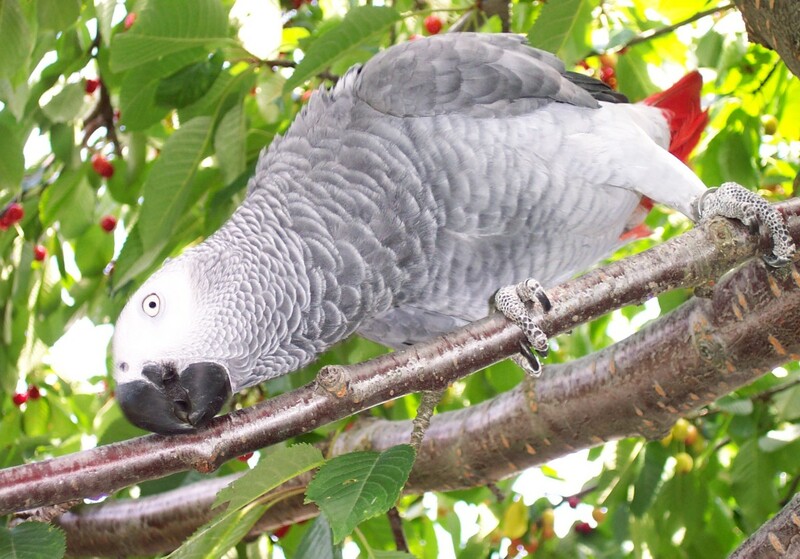 Look Who's Talking shows parrots in the wild and in loving homes. 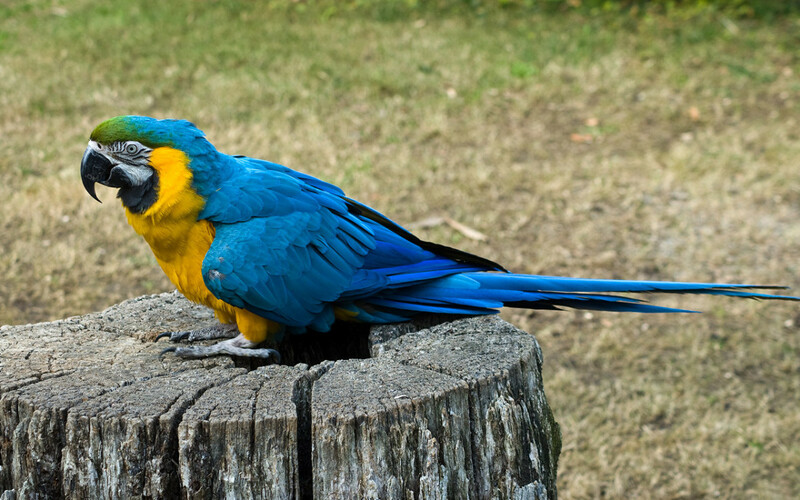 Different kinds of parrots talk and display a range of engaging behaviors, such as one parrot singing opera, another playing catch with its owner, and another sliding down a banister. Enjoyed reading about Bailey? 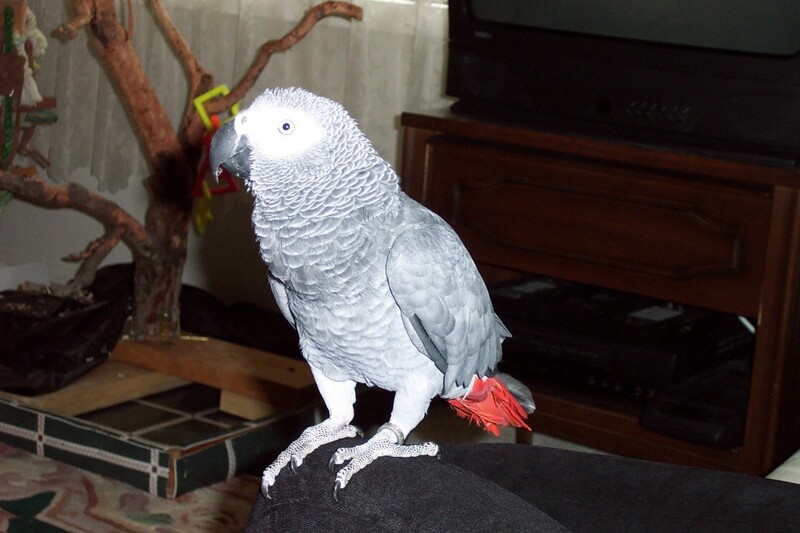 See Birdies in the Background to read about the hilarious antics of three noisy parrots that came to live with us. 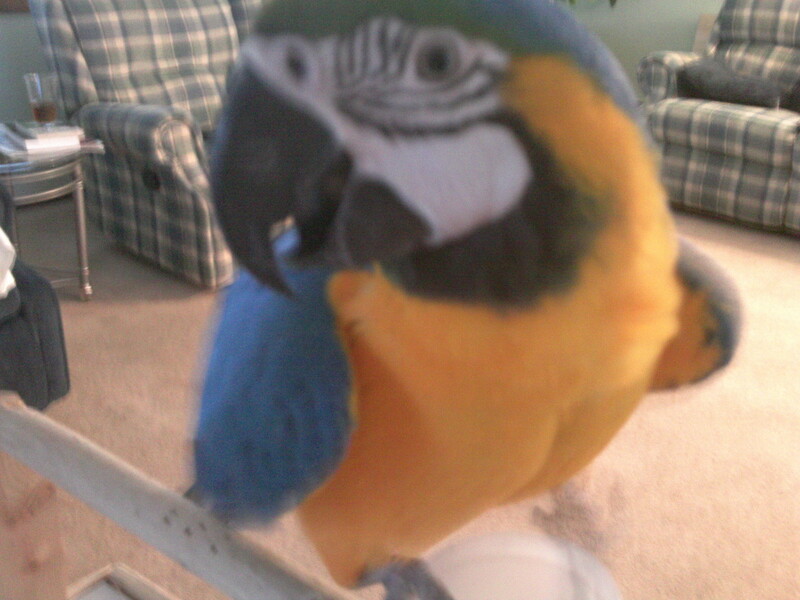 Have You Ever Owned a Parrot? Beautiful photos! A very interesting story.